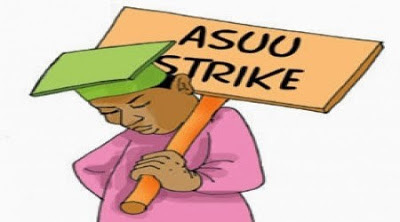 The Academic Staff Union of Universities (ASUU) said that it has agreed to consider the federal government’s offer and call off their strike. This good news especially to the students is coming after 12 hours, 30 minutes of a closed door deliberation between ASUU and a government delegation in Abuja which started 1:38pm on Thursday, September 7 and ended 2:15 a.m. on Friday, September 8. Premium Times reports that the leadership of ASUU, however, said though, it accepted the proposal presented by the government, it will take the proposal to its members and get back to the government in one week. The national chairman of ASUU, Biodun Ogunyemi told journalists after the meeting that the union will come back after one week to take its final decisions. In his world: “Now we have some concrete proposal that we will take back to our members for consideration." Adamu Adamu, the Minister of Education, said ASUU’s demands have been addressed and the union will get back to the government in a week after consulting with its principals. Report has it earlier that the Joint Action Committee (JAC) of Senior Staff Association of Nigerian Universities (SSANU), Non-Academic Staff Union of Universities (NASU) and the National Association of Academic Technologists, (NAAT), announced that they would join the ASUU strike on Wednesday, September 6.